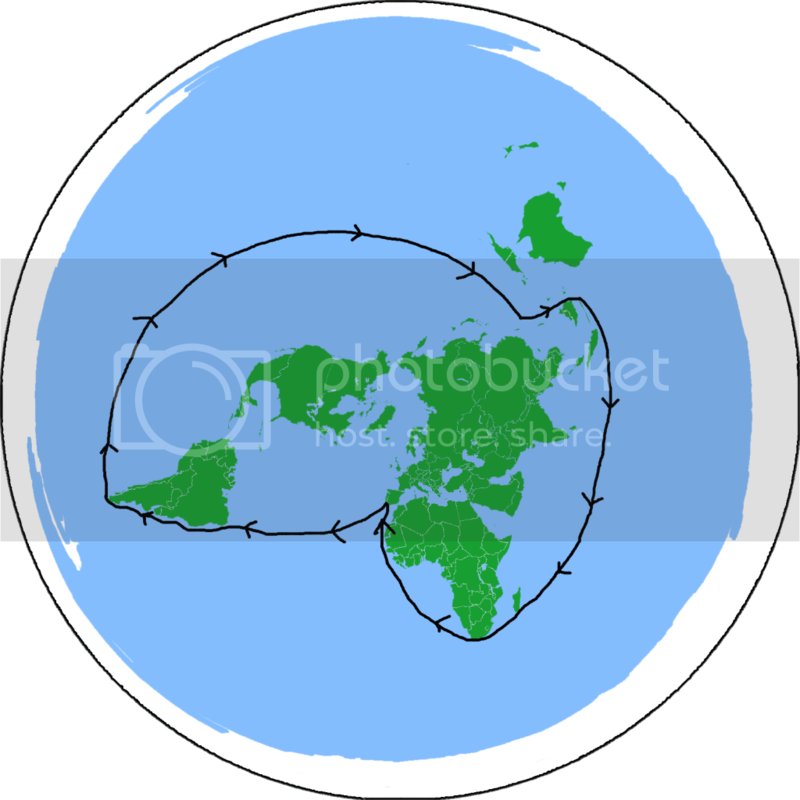 If the Earth is a globe, and approx. 25,000 miles in circumference, this pic of the Chicago skyline taken from the other side of Lake Michigan should be impossible. Instead, we are told it was just a "mirage"...lol. The flat earth theory has been gaining a lot of support lately, and i'm intrigued by some of the evidence put forth. It just seems to crazy to me though, they say that the earth has a dome over it, and there is water above the dome. And that we live on a dinner plate. Some theories incorporate the inner earth theory as well. (11-12-2015 01:08 AM)Redneck Wrote: The flat earth theory has been gaining a lot of support lately, and i'm intrigued by some of the evidence put forth. It just seems to crazy to me though, they say that the earth has a dome over it, and there is water above the dome. And that we live on a dinner plate. Some theories incorporate the inner earth theory as well. Yep, I'm intrigued by the bio-dome theory. As it is described exactly that way in the Bible. A researcher I really respect and have followed for years, Rob Skiba, has recently become a Flat-Earther. That's what got me to start reexamining the evidence. Because I know this dude, at least, is not a fruit loop. I live in one of the flattest places on earth. Outside of of most uraban areas there is an unobstruted view right to the horizon. I can attest that while driving the tops of tall buildings like grain elevators appear and disappear about 18 miles in front and 18 miles behind you here. This is consistent with conventional science on this subject (though I do question everything about science and lol that we think we have any remote grasp on what is impossible... impossible for us to comprehend now with today's conventional knowledge? sure). Not many people get this type of perpective around the world due to topography or city scapes. Here we have visual-distance proof of concept of earth curvature every day. (11-12-2015 01:38 AM)Dagwood Wrote: I live in one of the flattest places on earth. Outside of of most uraban areas there is an unobstruted view right to the horizon. I can attest that while driving the tops of tall buildings like grain elevators appear and disappear about 18 miles in front and 18 miles behind you here. 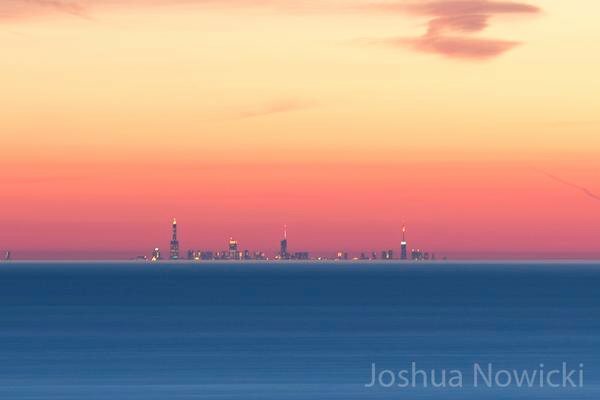 That pic I posted above of Chicago skyline was taken 60 miles away. And as referenced in the vid I posted, there have been all kinds of experiments that involve seeing things from a distance that should be impossible IF the Earth is a globe approx. 25,000 miles in circumference. At the very least, it would have to be much larger. Maybe try watching with your eyes first, and then try with a high powered lens next and see if these objects reappear. At some point, our eyes won't be able to see an object moving away from us regardless of a curvature on the Earth. Is there any explanation for why airplane routes work? You can fly from Europe eastward to Japan, or fly from US westward and hit the same place. Whether the Earth is sphere, or flat and round, circumnavigation is not an issue here. Think of a needle going around on a record player. Is it just pure coincidence that the Sun and the Moon appear as exactly the same size in the sky? If it's a circle like on the UN map, then North is straight up toward Polaris over the North pole in the middle of the circle. West is clockwise, east is counter-clockwise. South is toward the ice wall of Antarctica at the outer edge of the circle. I'm on the fence, but having already burned all of my faith in anything NASA and the large scientific institutions have said about outer space, I am open to the concept. You mention flights. That is a big puzzler for me in the Southern Hemisphere, as flights do not go directly from say Buenos Aires to Sydney. All flights go up through the Northern Hemisphere for those types of trips, even though it would be shorter to go direct if we live on a globe. Yeah... i realize what the chicago photo is said to be. There may be other legitimate explanations for that if it is what it says it is. Look, we live this 18 miles to the horizon experiment every single day where i live. It is flat as a pancake for most all of the top of the great north american plains. 90% of the arable (cultivateable) land, arguably highest percentage on earth, has 0-3ft tall crops on it for 5 months of the year and nothing but 3inch stubble and and a little bit of snow for the rest. Most everywhere outside of towns and cities there is a 360 degree view of the horizon with almost no impediments. Other than confined spaces like death valley ca or the utah salt flats, i live one of the largest flat regions on the earth with little, if any, trees in most place. This place is almost as flat as a sea in elevation change. In fact, it's an ancient sea bed scraped flatter from receding glaciers. There is no way in hell to view the city skyline 2 .5 hours to the south of me no matter what optics you use. Nor, is there for the town 30 minutes away on the same highway. The only way that purported chicago skyline across 300 miles of lake michigan photo could be replicated here on this inland prairie sea, is if the office buildings were 25,000 ft tall and that far away. Then, if they had a 1 trillion candle power mirror ball light on top of the tallest tower, i could get my groove on to it every night. A mosquito that gets in my car can fly 80 mph but only while in my car. When I roll down the window he goes back to fluttering about as before. . But he went 80 mph. That is a fact. And he can't fly that fast. Also a fact.